We want you to have clear vision and healthy eyes, so that you can enjoy and make the most of your daily life! At Chester Eye Center, you can depend upon our highly qualified, attentive eye doctors to treat you like family and provide the best eye care services for your needs. With over 37 years of professional experience, Dr. Michael Chester and Dr. Brandon Chester, welcome you warmly to our three offices, located in Chillicothe, Greenfield and Waverly, Ohio. Call today to book your appointment, we can’t wait to see you! Technology advances by leaps and bounds, and we make sure to stay current in all of our South Central Ohio clinics. Using digital retinal imagery and OCT scans, we’ll perform comprehensive eye examinations with ultimate accuracy and convenience. 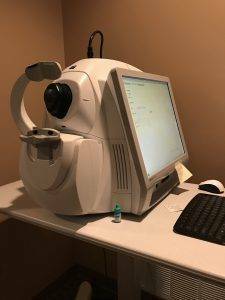 With top knowledge, skill and the aid of the latest optometric equipment, we are able to detect very early signs of many eye diseases, such as macular degeneration, glaucoma, diabetic retinopathy and cataracts. We’ll keep watch on your ocular condition or disease, paying attention to the details and changes, to ensure that you receive the most progressive, necessary treatments. Eye disease must be managed expertly and regularly to promote sharp eyesight and prevent eye complications or vision loss. In partnership with you – our valued patients, Dr. Michael Chester and Dr. Brandon Chester will help control the possible damaging effects of ocular disease as early as possible, which goes far towards the lasting quality of your vision and your life. With offices in Chillicothe, Greenfield and Waverly, Chester Eye Center serves South Central Ohio – schedule an appointment today. Whether you wear daily, weekly or monthly disposables, or conventional lenses, check out our selection of contact lenses. I have Brandon and he is really great with you, and explains things to the T.
Great visit with the Dr. and staff at Center Eye Center! They always make you feel comfortable while you are there even when you must have your eyes dilated for testing. Doc and helpers were all on time and very helpful. Do You Need A New Pair Of Eyeglasses? 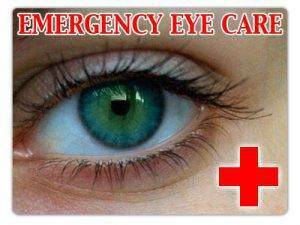 Eye emergencies happen all of the time and range from mild irritation and infection to having a foreign object lodged painfully in your eye. In the event of an eye injury or emergency, we’re here to help with offices in Chillicothe, Greenfield and Waverly. Contact us immediately for guidance and to schedule an appointment. Equipped with the TearLab Osomolarity System, our optometrists can now use quantitative data at the point of care to aid in the diagnosis of DED and to improve our ability to manage these patients. The earlier you begin treatment, the faster you can get your symptoms under control. Dry eye does not occur overnight, and it is a chronic eye disease. The mistake most patients make is they wait too long to report their symptoms, so by the time the doctor sees actual signs of dry eye on the ocular surface, it is going to be at least a 3-6 month process to stabilize the tear film and improve their quality of life. Chester Eye Center Uses the Most Advanced Technology in the Field. We provide both medical and routine eye care & accept a number of insurance plans. We have three locations to serve you better. Click here to learn more.